ISLAMABAD: The government is planning to introduce another amnesty scheme to provide non-filers of tax returns an opportunity to whiten their undeclared assets at home and abroad and get into the tax net, besides introducing further budgetary measures in the run-up to entering into an IMF programme. 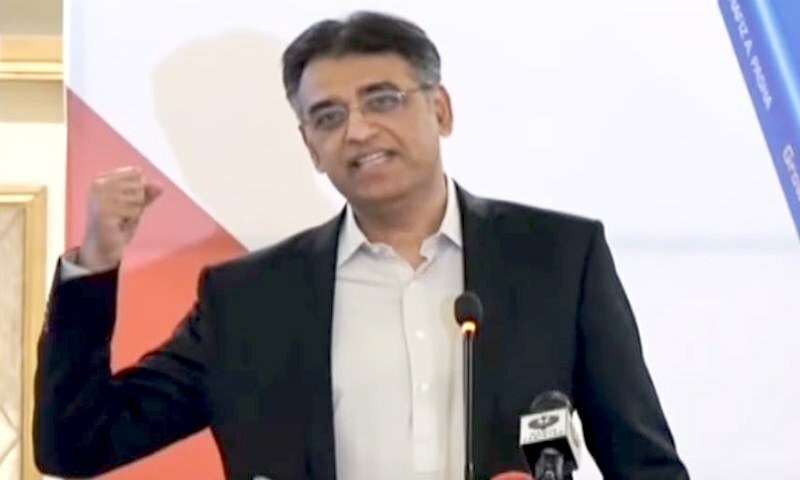 Finance Minister Asad Umar told reporters on Tuesday that details of the amnesty scheme had not yet been finalised but it would be introduced before the coming budget on the strong demand of the business community. He also announced that he was going to open sale and purchase of properties to non-filers with effect from July 1. He defended the removal of such a condition on sale and purchase of vehicles that he had announced in January this year, saying this led to job creation. He said nothing barred the tax machinery from issuing tax notices to the purchasers of vehicles and properties, bringing them into the tax net and recovering taxes. Moreover, Mr Umar said the government was planning to increase property evaluations for tax purposes to real market rates once and for all and reduce tax rates. For this, the change will start from Punjab, Khyber Pakhtunkhwa and the federal capital and then could be extended to Sindh and Balochistan. The minister said interest payments were anticipated at around Rs2 trillion for the current year against the budget estimates of Rs1.62tr, while defence expenditures would also go up due to the recent tension with India but estimates at present were not available. In response to a question, he said any increase in next year’s normal defence budget would be based on Rs1.1tr of current year and the armed forces development fund would increase on the basis of current year’s Rs576 billion. 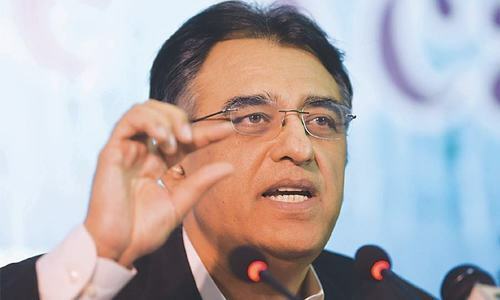 In what appeared to be another move to satisfy the International Monetary Fund to keep fiscal deficit within the budgetary limits and predictable, the finance minister said the government would move out of the fixing of prices of utilities and petroleum products. The Fund had been asking the government to let regulators determine and notify utility price adjustments on their own. Mr Umar said the regulators were independent and should determine electricity and gas tariff and notify them. Likewise, the government will fix taxes on petroleum products as part of the budget once a year and then it will be for the regulator to pass on the impact of international oil price fluctuations. He said the business community and some other people were of the view that the campaign against tax evaders had created a lot of fear and harassment that the government was serious in its efforts and if the purpose of the government was to collect more taxes, they should be given an opportunity to come into the net. “There can be a one-time opportunity for asset declaration that we will announce before the (coming) budget,” he said. 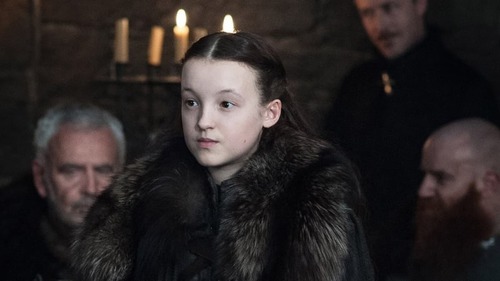 He did not go into broad contours of the new scheme, saying that “the discussions have just begun; they came up with a proposal which we accepted as a good idea”. He said the scheme would be complaint with the requirements of the Financial Action Task Force (FATF). Asked if the scheme meant generating revenues to reduce fiscal deficit before formally entering into the IMF programme, Mr Umar said the Fund would have no objections to the amnesty scheme as many such schemes had also been launched in the past. He said the scheme would carry both the stick and the carrot and also invited media persons to offer suggestions. Asked if the revenue target was being revised over the massive shortfall of around Rs290bn in nine months, the minister said the government was not considering reducing the revenue target set for the current year but planning actions that would overcome the shortfall. He said the government would also share details of the medium-term budgetary framework with the opposition at the National Assembly’s Standing Committee on Finance and seek their input as agreed at a recent meeting of the committee. The framework would also be announced through the media the same day, he added. Mr Umar said he was in favour of wealth tax on assets, but parried questions if the idea was not against Prime Minister Imran Khan’s philosophy of encouraging wealth creation to encourage more investments. The finance minister said the policy choice for Pakistan’s economic betterment was the opening of North-South and East-West trade that would also benefit India. He said Pakistan’s vision for the region was peace and internal trade. Restrictions on Iran should also end as peace returns to Afghanistan to open up the entire region up to Central Asian States and beyond. For this to achieve, the finance minister said India should also understand that Kashmir was the core issue and there was a need for the composite dialogue to begin at the earliest that would be in the interest of both countries. Responding to a question about the preparation of an agriculture emergency plan by Jahangir Khan Tarin, the finance minister said the Supreme Court had barred the former from holding any public office but did not say not to let him breathe. He said there was no restriction on the prime minister to utilise expertise of anyone and all knew that Mr Tarin was a progressive agriculturist who had proved his mettle. Responding to another question, Mr Umar said the electricity tariff was expected to be increased on the basis of quarterly adjustments to be proposed by the National Electric Power Regulatory Authority, but added that he was not yet clear about the gas price increase. The PTI has limited its own options due to years of railing against anything the previous government did to manage the economy or any other sector. Even now, what is missing is an overall strategy or vision - the FM continues to apply band-aids not realizing that his early missteps have eroded his credibility as well as the confidence of the people. 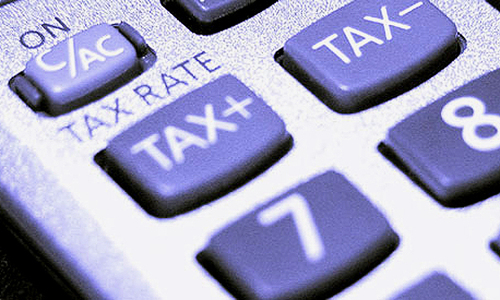 The announced tax amnesty scheme is likely, therefore, to have a poor response. Stop victimizing political opponents, stop trying to muzzle the press and focus instead on governance. Learn from your mistakes and take some policy risks - you will like the outcome much more than if you continue on the present path. Expatiates file taxes in their adopted countries and should not be treated as non-filers for bank and property transactions. Mr. Umar changes his mind every few months about non-filers purchasing property and cars. He brings a scheme only to change it back to the old one after few months. Sooner or later he will resign . Very smart move, so money can be invested inside the country. Next plan by Asad umar to make Pakistan tax free country like Singapore. Was PTI not the one, who was opposing these amnesty schemes when they were in opposition? Shame! 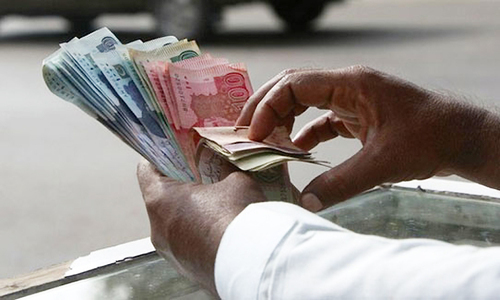 The drop in Pakistani Rupee exchange rates versus Dollar and other currencies would increase the Rupee cost of imports and all foreign payments for interest, promised guarantees as well as paying back of borrowed funds. These increased costs in rupees will put more pressure on exchange rates as the government budget bears the full impact of fall in exchange rates. Also, there would be less money available for growth and investments and things like education and aid to poor. Smart move. It will help generate the much needed economic activity. PTI made a critical error when it imposed restriction on property transactions by non filers. Last ditch efforts to save his public image and shriveled economy. One single word for the present government- incompetent. Nobody will get NRO, than why this Amnesty scheme. @Pakistani , yes and prices of property can sky rocket with black money so ordinary man can not even think of buying a house. Property purchase for Non-filers should not be allowed. This is not fair. I am might aswell stop filling returns if there is laws can be moulded to please corrupt non-filers. No one should pay taxes in Pakistan. Everyone should simply wait for the upcoming amnesty scheme. Shameless U-turn by PTI. They forgot that they used to hugely criticize NS for the tax amnesty schemes. @Still Concerned, well ..., unfortunately in our country we do not have any benefits in filling returns.what you talk about paying tax itself..All our tax money goes towards providing luxuries to so called elite class crimlnals. Best case example... Nawaz Sharif was jailed...from Day one till today if one can calculate the amount of our tax money spend on Nawaz during in jail time...It will be mind blowing.. Such a great confusion....with no solid direction and persistence in policies...A big question mark on the compitancy level of our FM...No idea as how long this uncertainty will go on...It is high time to have some real compitant Finance Minister to take charge and do some surgical intervention...and make things happen... Otherwise...the tolerance level of a common person will go down the drain..
Every amnesty scheme confirms that those who pay taxes are the foolish ones. One can argue that PTI government is better or worse than the previous two governments but as far as revenue generation is concerned the current government is exactly the same. It's a joke. I am doubting the PTI. Do they have the expertise to do what is needed. Imran Khan is 100% honest. but some of the team is putting question mark against the government. Everyone needs an amnesty scheme like the one Aleena Khan got. A much-needed scheme. Property functions as the backbone of any economy, especially Pakistan's economy, bearing in mind the increasingly-popular real estate sector. With the ban on purchases, the entire sector has seen a tremendous downturn and trading has come to a complete halt. While such a step of widening the tax net is appreciated, feasibility must be considered. Implemention must be gradual, as people stopped trading, rather than filing taxes. Hopefully, this scheme will bring relief, and the economy will get back on track.